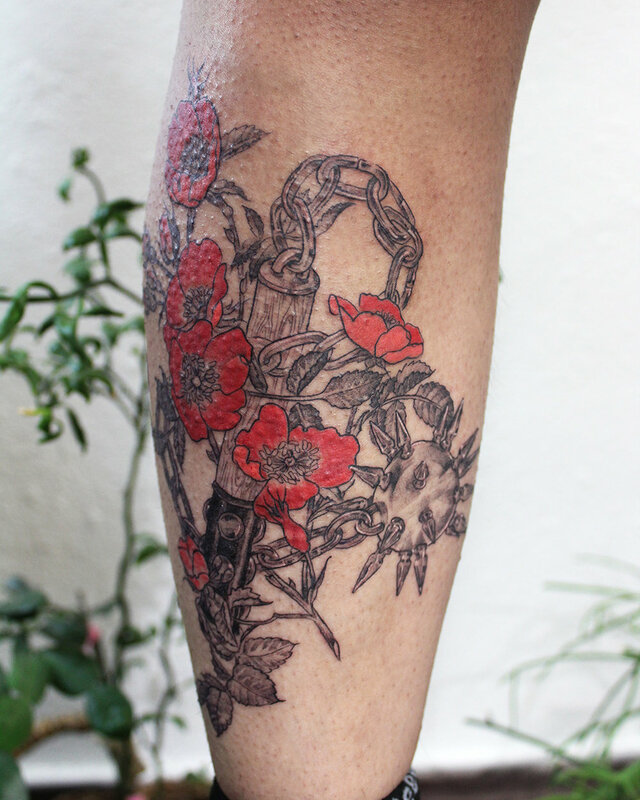 A lifelong collector of disciplines and mediums, Meg Adamson added tattooing to her collection in 2013. She currently owns and operates Reliquary, a licensed and inclusive private multidisciplinary studio in downtown Vancouver, Washington. Tattoos are by appointment only. Books are closed for now, stay tuned for upcoming spring openings or check @Megadamson on IG for more frequent updates.